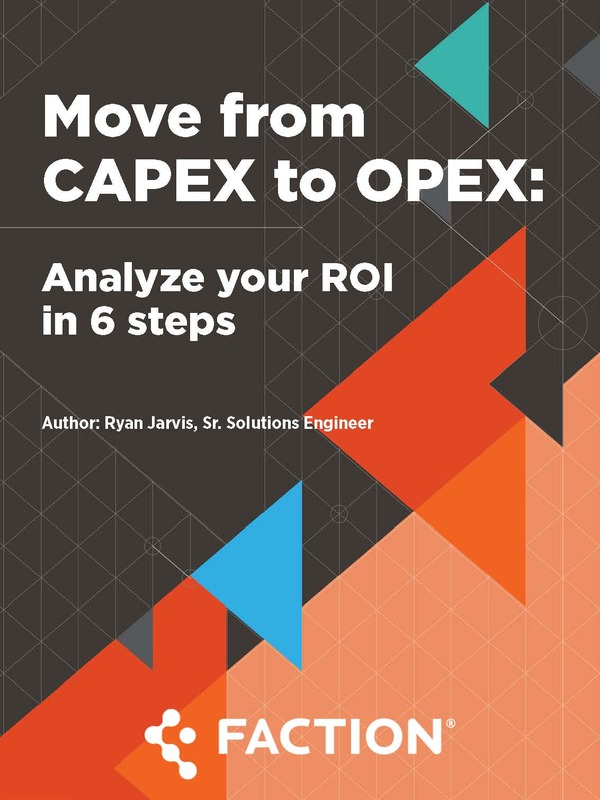 Move from CAPEX to OPEX: Analyze Your ROI in 6 Steps | eBook | Faction Inc. The metrics that are typically overlooked during an ROI analysis. The metrics that need to be compiled to perform a proper investment analysis. How to leverage ROI tools to weigh the investment performance against goals & initiatives.